The BCSA is here to excite your interest in all things Czech and Slovak – from history to today's politics, architecture to film, sport to literature. Membership of the BCSA offers a host of stimulating events, unrivalled networking opportunities, and plenty of fun. People of many ages and backgrounds join the BCSA including British individuals with an interest in the Czech and Slovak Republics. Some members are former Slovak or Czech citizens who have settled in the UK with their British partners and families. Others are Czechs and Slovaks who live, work or study in Britain. Many founder members are former citizens of what was Czechoslovakia who left their country in difficult times. 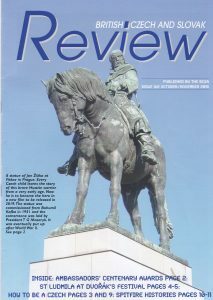 Members receive the British Czech and Slovak Review magazine and free entry to a programme of events. There are also social occasions for members, their friends and families, and BCSA supporters. 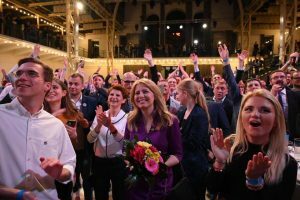 And how does the very recent Slovak election of the country’s first female president, liberal lawyer Zuzana Caputova, contrast with the outcome of the Czech presidential elections?